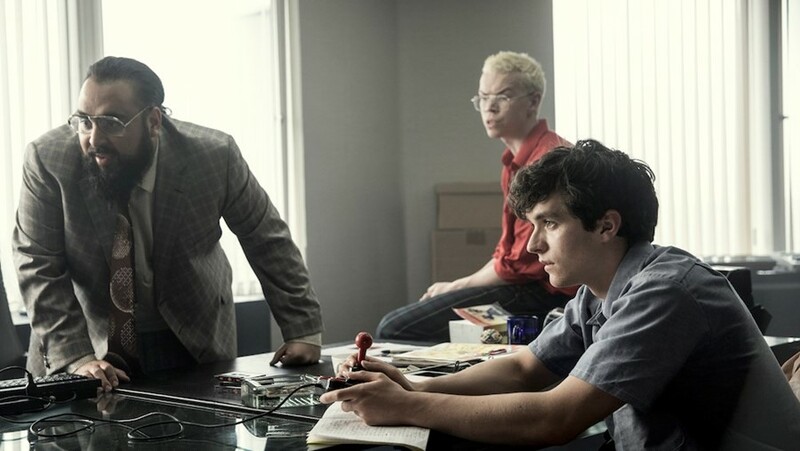 Bandersnatch, the new Black Mirror film that has been teased in images and a trailer over the last week, was released today (December 28), confirming suspicions that it is an interactive experience with decisions selected by the viewer. The concept is similar to the Goosebumps books everyone seemed to read as a kid, only on Netflix, and with an unmistakable Black Mirror vibe. 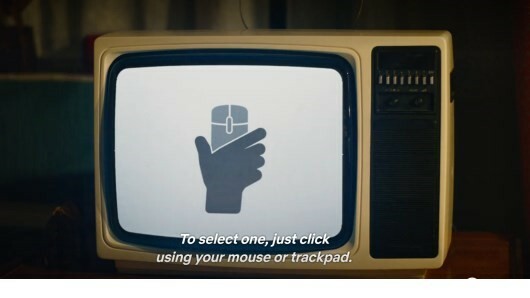 “Keep your mouse or trackpad close at hand,” a retro TV set advises the viewer as the episode begins. You’ll need it to guide Stefan (Fionn Whitehead), an awkward young programmer, through a variety of choices as he attempts to adapt the hefty eponymous novel (which is also an interactive experience) into a video game in the mid 80s. It all goes downhill for him in a big way from there, btw. The first selection the viewer makes (spoiler alert) allows them to make the choice between Sugar Puffs or Frosties. Other decisions allow the viewer to take control of the episode’s soundtrack by choosing tapes to go in Stefan’s walkman. Finding every storyline doesn’t matter too much, though (although people will undoubtedly try to push the film to its limits). The journey down one path is interesting enough and the choices don’t feel as tacky as you might expect, especially because the film is pretty self-referential and often comments on the choices in a tongue-in-cheek way. That being said, people are already lamenting how much they’re messing Stefan’s life up through their choices (lots more spoilers ahead).